The plaintiff filed a lawsuit against Firstervice Residential California LLC, alleging that the company was vicariously liable for the actions of Sandman and had also negligently retained him. George argued that Sandman was acting within the scope of his employment at the time of the drunk driving accident because his job entailed entertaining clients. The plaintiff noted that Sandman was allowed to drink in moderation by the company, but what that meant was not clear. The plaintiff also argued that the pair had gone to the pub on March 17 to scout it out as a possible location for future parties for the condo that FSR managed. The plaintiff also argued that the company was negligent in its retention of Sandman. He reportedly had received a DUI conviction within six months of his hiring date, resulting in a suspended license. The company apparently did not do anything about this despite the fact that Sandman’s job depended on his driving clients. The defendant argued that Sandman was not acting in the course and scope of his employment at the time of the accident. It instead argued that Sandman and George had developed a friendship and that they often went out together to socialize and drink. In order to support this argument, the defendant produced numerous emails between the two about different times that they had gone out drinking together. The company also argued that the pair were simply out socializing together outside of Sandman’s employment on March 17, 2013, at the pub. Finally, Firstservice argued that George held some contributory negligence. At the time of the accident, he was also legally intoxicated with a blood alcohol concentration between 0.11 and 0.13, which the company contended lowered his inhibitions, leading him to accept a ride and to get in the car as a passenger. Before trial, the plaintiff made a demand for $19 million, which the defendant declined. The defendant extended an offer of $1 million, which the plaintiff declined. Following a trial that lasted for four weeks, the jury deliberated for a day and one-half. They returned a verdict in favor of the plaintiff with a gross verdict award of $15,030,718.83. The jury assigned 80 percent of the fault to the defendant and 20 percent of the fault to the plaintiff. This meant that the plaintiff’s net award was $12,024,575.06 against Firstservice Residential California LLC. In California, an employer may be held to be vicariously liable for the tortious acts of an employee if the employee was acting within the scope and course of his or her employment at the time that the plaintiff suffered harm. The scope of employment includes acts that are related to the type of work that the employee was hired to perform or those that are reasonably foreseeable. In this case, Sandman’s job was to entertain clients, and his employer specifically allowed him to drink alcohol while on the job with the company’s clients. He was also required to transport the company’s clients for entertainment purposes, making it reasonably foreseeable that he might become intoxicated and be involved in an accident. California courts interpret the scope of employment broadly, and the state does not follow the rule that an employee’s tortious act must be motivated by a desire to further the employer’s interest that is followed elsewhere as long as it is reasonably foreseeable. 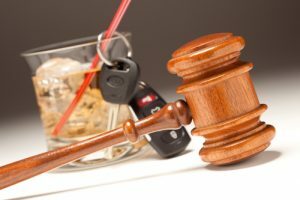 If you have been seriously injured by a drunk driver who was working at the time of your accident, you may need legal help. An experienced personal injury attorney may evaluate your case in order to determine the likelihood of your claim’s success. Schedule your consultation today.